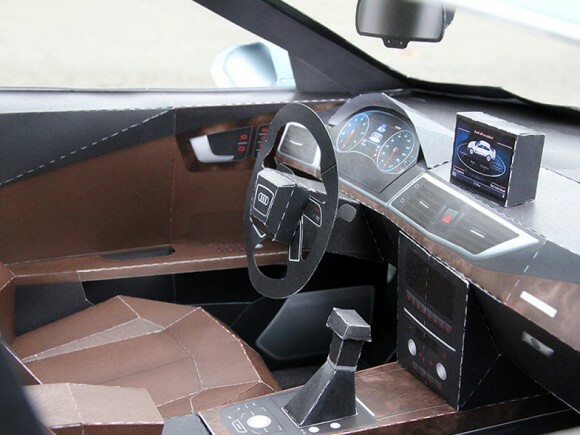 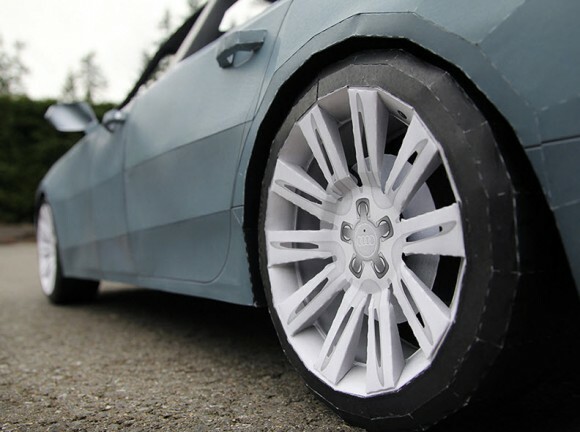 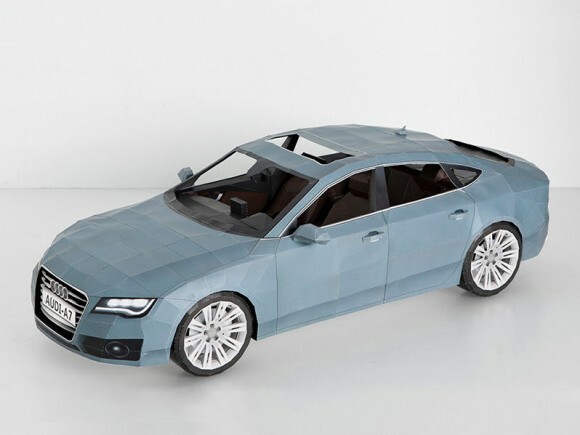 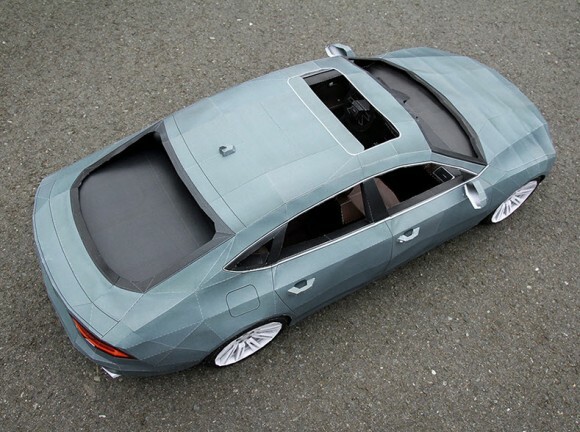 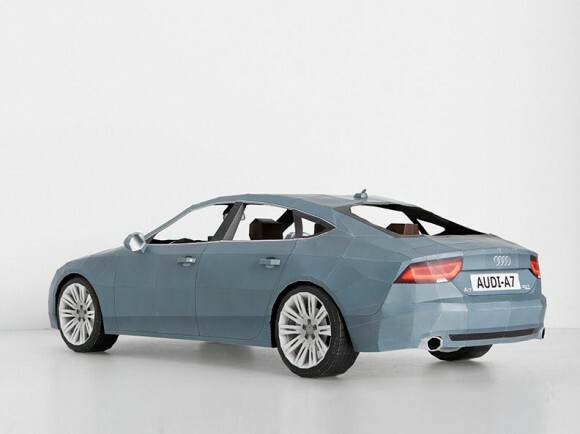 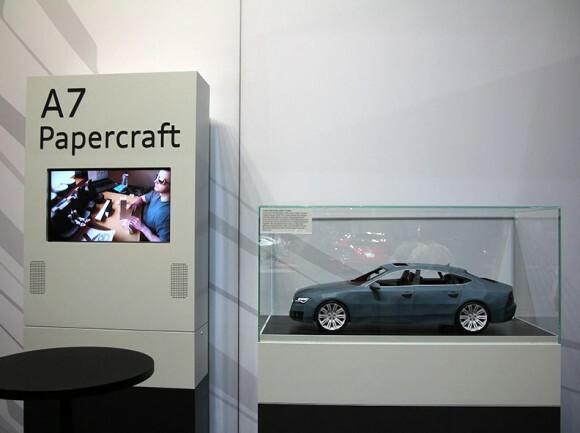 A 4-foot long papercraft replica of the 2012 Audi A7 was launched at the 2011 New York Auto Show. 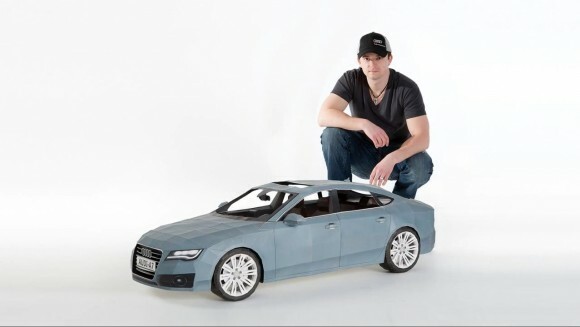 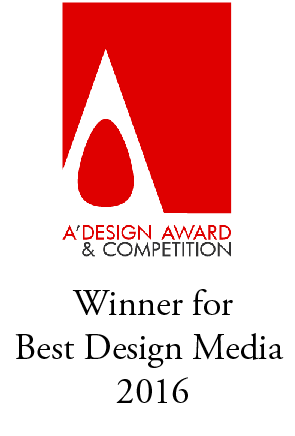 This project was started by Taras Lesko, graphic design artist, who designed this project with 285 sheets of paper. 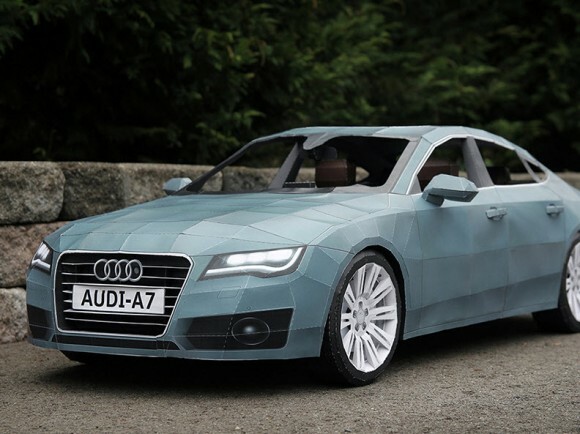 Using photos and A7 blueprints from Germany, he designed 750 model pieces out of card stock, which he then printed, folded and glued together. 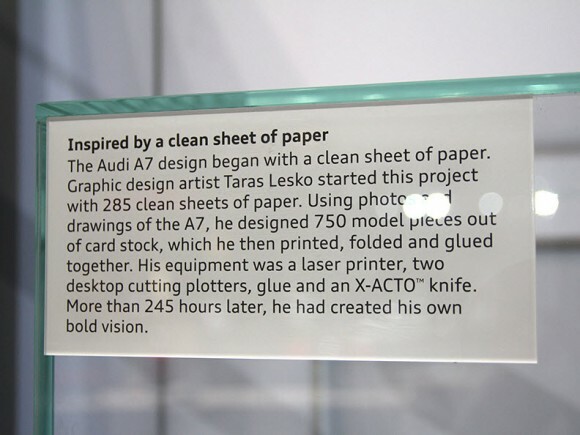 His equipment was a laser printer, two desktop cutting plotters, glue and an X-ACTO knife. 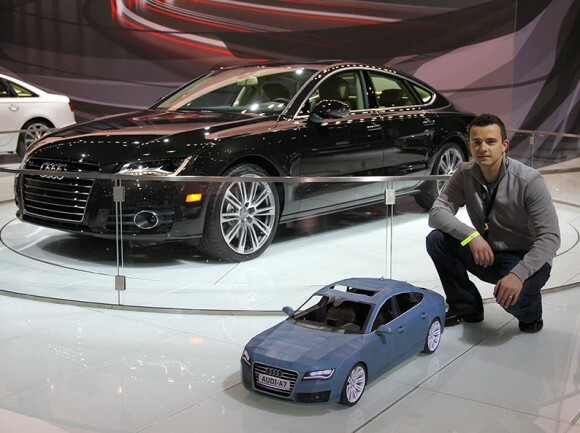 More than 245 hours later, he had created his own bold vision.